Time is running out! 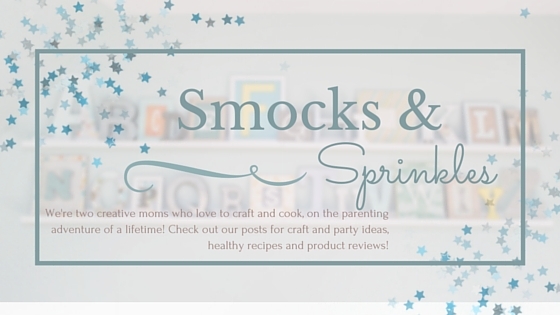 Mother's day is coming up quick...real quick (panic is setting in)! 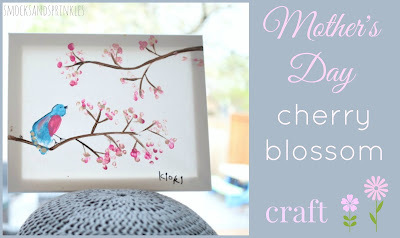 If you are looking for an easy craft for your kid to make for the special women in their lives (grandma? ), this craft is it. 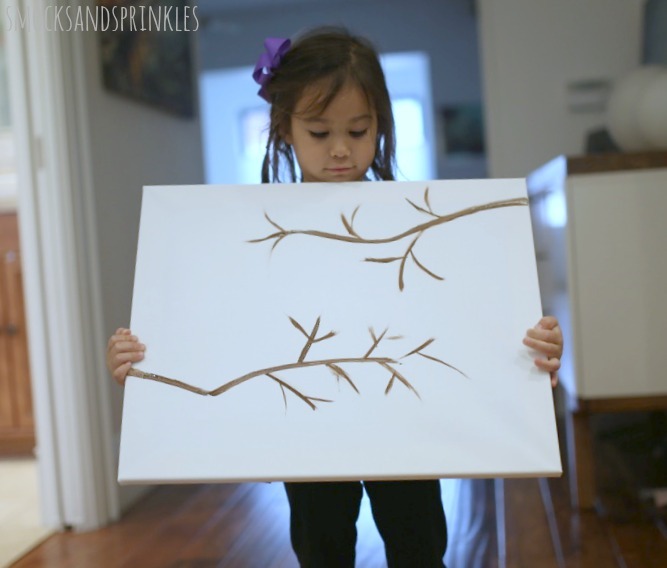 Costs under $10 for the materials and takes about half an hour to throw together including clean-up time. 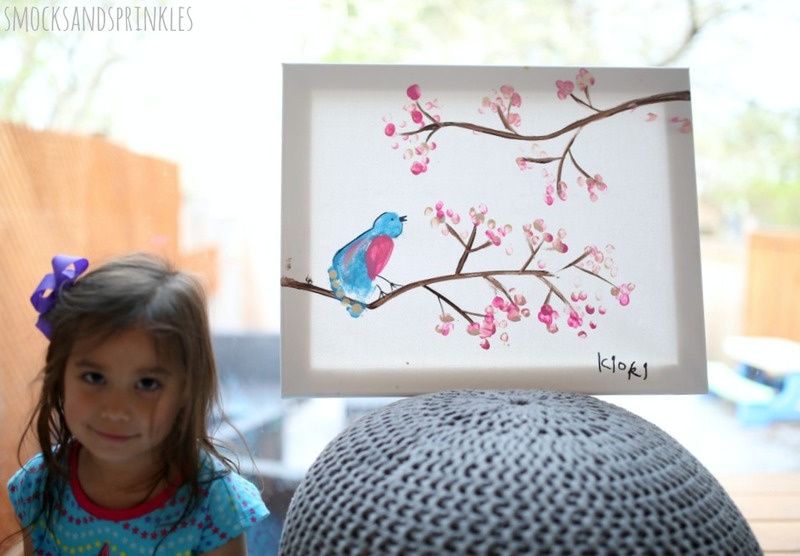 The cherry blossom tree in our backyard was the inspiration behind this craft. Cherry blossoms are breathtakingly beautiful and your little one can recreate this beauty on canvas using their fingerprints. Okay, hurry up! 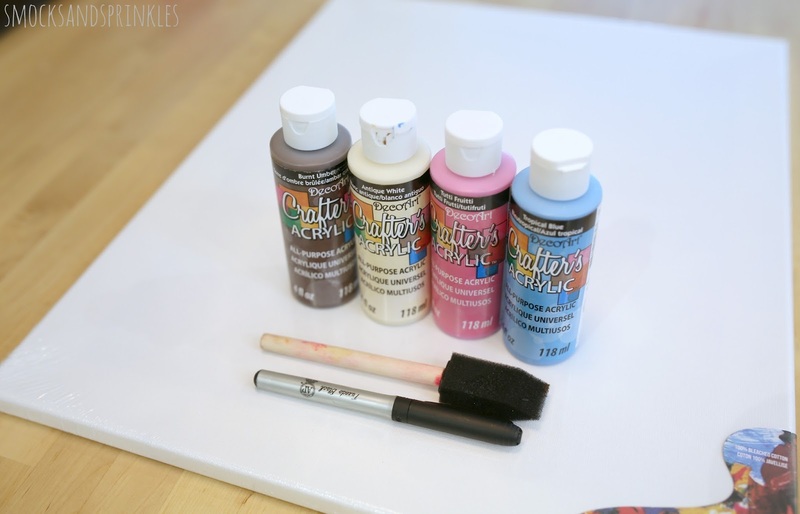 Grab the materials, your kid and get started! 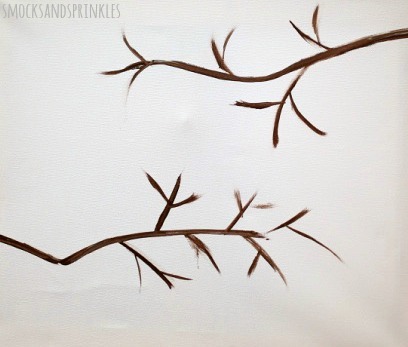 Using the brown paint, paint cherry blossom tree branches as shown. Depending on your child's artistic level, you could get them to do this part of the craft. 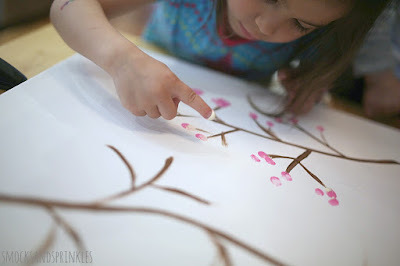 Using pink and white paint, have your child make "cherry blossoms" on the branches using their fingerprints. 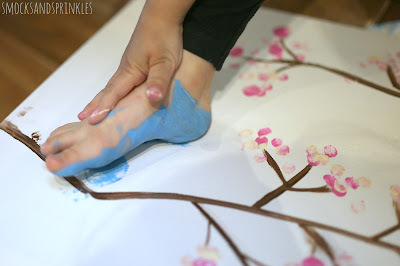 Coat your child's foot with paint (we used blue paint) to make a "bird" footprint on a branch. 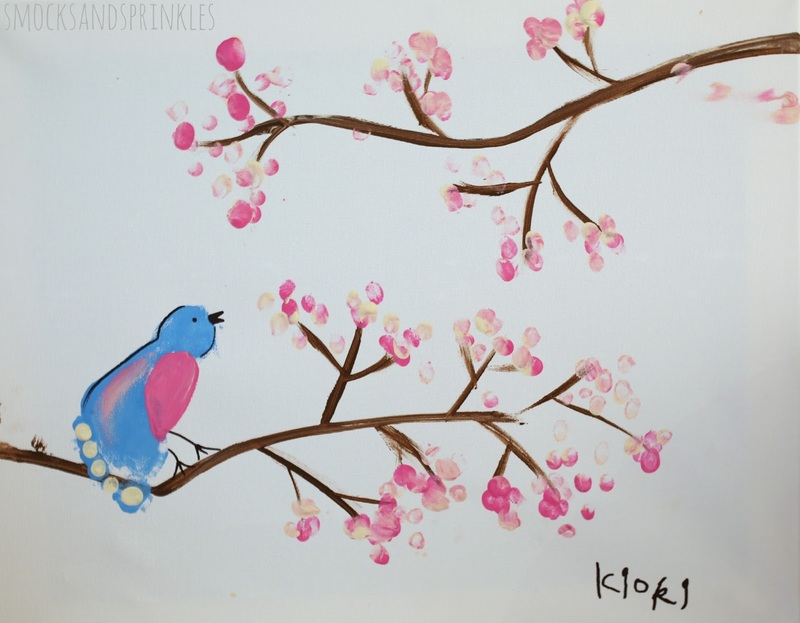 The heel of the foot is the bird's head, and the toes are the bird's tail feathers. 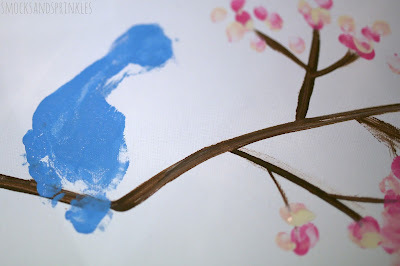 I suggest you throw your kid in the bath at this point to wash off the paint. Once dry, decorate the bird (add an eye, beak, feet etc.) using a black sharpie. 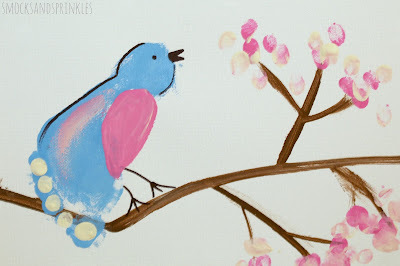 You can also use a different colour of paint to add a belly, feathers etc. Don't forget to have your little Picasso sign their artwork! 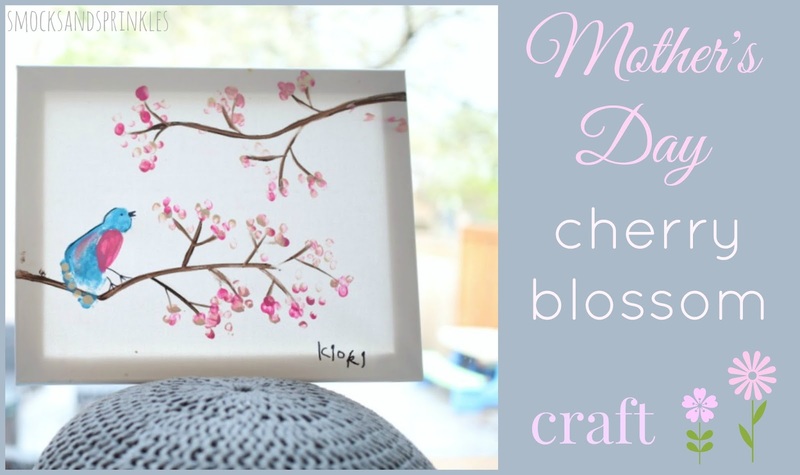 Oh and don't forget about our coffee filter crafts if you are looking for another easy Mother's Day craft idea.